A professional dog walker was caught on dash-cam mowing down and killing a family pet in a brutal hit and run. Owner Sian Giles, 25, said her three-year-old son had been left traumatised after witnessing the incident at around 1pm on Tuesday. 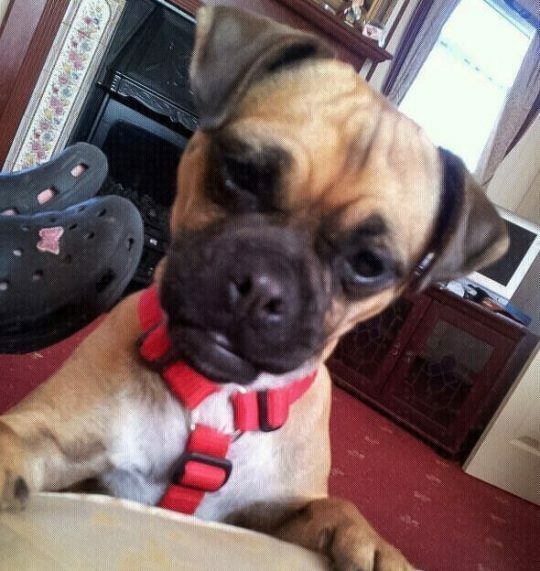 Police are investigating the incident after eight-year-old Roxi was left to die in the street. 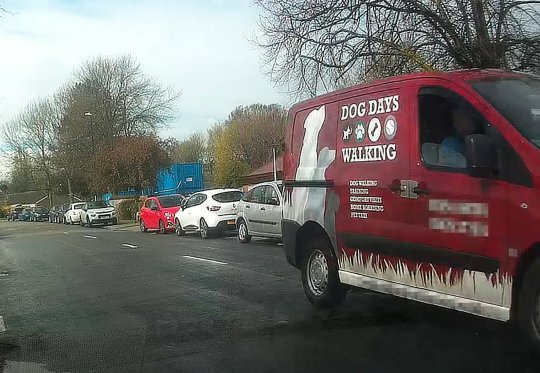 The vehicle was owned by Dog Days, which states on its website ‘our philosophy is to treat your dogs as if they are our own’. Horrifying footage from Sian’s car show the driver failing to stop after crushing the dog under its front wheels on a quiet residential street. Sian says she was forced to scoop up the remains of Roxi from the road after she was ‘literally cut in half’. She has now reported the matter to West Midlands Police following the tragedy, which took place on Brookside Avenue, in Coventry. The mum-of-two said: ‘It was like the scene of a horror movie. We haven’t slept for days, we are all just constantly reliving it. ‘My youngest little boy, whose only three, was with me in the car at the time, so I had to run over there straight away and put a blanket over her just so he wouldn’t see. ‘But he could not but help see what happened. I was so upset, my boy just keeps asking about Roxi. ‘He says “is Roxi getting better?” and “is Roxi coming back from the vets?” – but we’d only taken her to the vets to get her cremated.’ She continued: ‘It would have been better if it had been a different company it would not hurt as much. ‘But it was a dog walking van and they say all these things about how they care for dogs on their website. 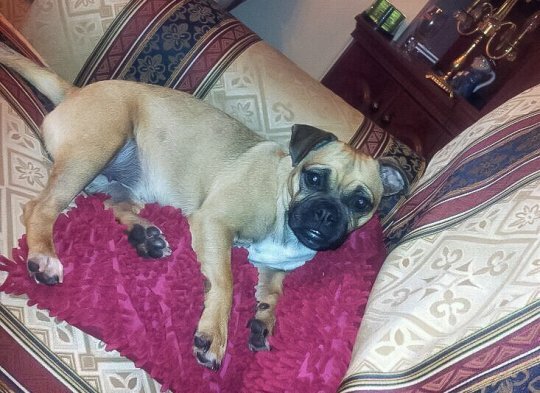 The incident occurred after Roxi darted from a front door which was accidentally left open by Sian’s father-in-law. Sian explained: ‘It all just happened so quick. ‘I had been picking up Roxi from my father-in-law’s house when she ran out of the front door when he went to get his hat and coat. ‘I beeped my horn and you can hear from the footage there’s a loud bang when he hit her, but he didn’t stop. ‘He must have hit her with some force because the impact ripped his front licence plate off.